I approached D.C Legendre after spotting her book on the ebooksoda newsletter. I thought it sounded so intriguing that I approached her and invited her to feature on Fiction Dreams. I'm so glad she agreed! I keep dreaming about people and events from the past and meeting my true love....the one I have been meant for my entire life and hope to meet one day. I am inspired by people I meet who then appear in both my daytime and nighttime dreams. I first discovered my love of writing in sixth grade when I wrote a story about three sisters who lived on a remote island with their father, who was a mad scientist. I have to laugh now at the concept. The ending found the sisters being rescued from the island by three secret agents whom they fell in love with. Fortunately, their father was convinced to put his efforts at controlling the world aside and they all lived happily ever after. I first published a short story collection entitled, Clams in Cups: Legends of the Heart - first in a trilogy - several years ago. The second book in the trilogy, Clams in Cups: Legends of Angels is almost finished. The last book in the trilogy will be entitled, Clams in Cups: Legends of Heroes. The first two have many stories about real-life romance, and I am sure the last will too. What is it about romance books that appeals to you the most? Do you read other genres? I love the emotions, the passion and the interactions between the characters and the happy endings despite what the characters endure throughout their "journey" towards one another. I also love biographies and some YA stories such as the Twilight and Harry Potter series. Can you tell us a little about your book, Red Nails? What do you want the reader to come away with after they've read it? It is a story that is about a sort of fairytale gone awry. A meeting of two people that seemed so perfect and through life's trials they grow apart without knowing it is happening....and without really knowing each other. The main character is left behind by the person who she believed was her knight in shining armor and is left with nothing - not even a true understanding as to why he left her behind. Her fairytale becomes the worst nightmare she could never have imagined. Through a series of events, she finds him online and has a relationship with him without her true identity being revealed. In doing this, she discovers herself and comes to know him as she never had while they were together. Out of all of this, she finds a new beginning from a tragic end. More than anything, I truly want to help the reader along the way to see the light beyond the darkness. An event in my own life was the inspiration for this story. I wanted to create something postive from something that was so difficult for me to deal with and, in the end, created a story for everyone.....one of drama, comedy, dark and light - one that either women or men can identify with in some way. Not yet as I live in a very secluded area and it was just released on Valentine's Day this year, which was a significant day for me, but a friend of mine from California has a copy at her condo in Sunapee, New Hampshire. Sunapee is where I found "me" and is a place forever in my heart. 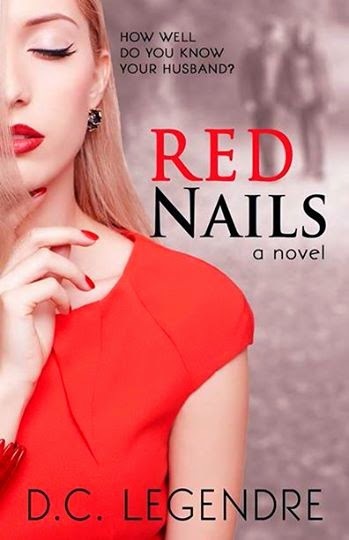 The cover for "Red Nails" was designed by Blue Harvest Creative. If Red Nails was made into a film, who would you cast? I would cast Hilary Swank as the main character as she is so amazingly versatile.....capable of going from one end of the spectrum of emotions and events to another. I can only think of her movie "P.S. I Love You" and how she played that role so well - from a naive, carefree and headstrong girl with dreams to create...to someone who loses the love of her life....to the woman who finds herself in the end. Her determination from real life experiences behind her acting makes Hilary the perfect choice in my mind. The male character would have to be played by an actor who can pull off a bit of arrogance but then still be very caring. I would choose Matthew Goode who was in the movie "Leap Year" and the cute romantic movie "Chasing Liberty". So many......The Quiet Man with John Wayne and Maureen O'Hara - but that was based on a short story......Pride and Prejudice and so many romantic comedies, as well as the James Bond series. Oh, and after this past weekend, the Rocky films. They were a reminder to me that we must never give up and always believe in our dreams. Nora Roberts "Born" trilogy and Nancy Atherton's "Aunt Dimity's Death".......quite different from one another! 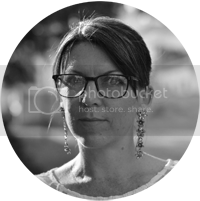 Lisa Shambrook, who is a friend I have made via Facebook who writes beautifully inspired tales and stories and lives in Camarthen, England. Facing the moon surrounded by candlelight, late at night when I can "un-focus" and let the words come out through my fingertips. Fashion Designer and Writer of Fairytales and a Philanthropist - in connection with helping children in need. I did have the opportunity to do a guest post two years ago for WithKids of Glasgow, Scotland and loved it. I had discovered this organization after watching "Once Upon a Time" and become more aware of the wonderful man behind the characters of "Mr. Gold" and "Rumplestiltskin". He is an ambassador for this organization. I also started a fashion blog a few years ago to feed my love of design. 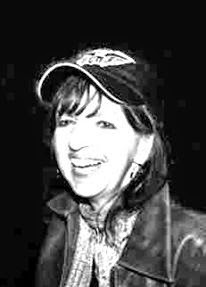 I started far off track from my true dreams out of high school but rediscovered writing in the 90's beginning with a short story that is in my short story collection and a fairytale cookbook that has yet to see the light of day. I am hoping to find someone to illlustrate this even though everyone keeps telling me I should do it myself. I also have a collection of "Sunapee Fairytales" that are very close to my heart which need to be completed. I am now following my dreams and hope at least one of them will come true. Diane Keaton as the "older me" as I love her humor and in the movie "Baby Boom", I recognize a great deal of "me" in her character. Even in real life, her interviews resonate with me. As for the "younger me", I am not sure. Perhaps, I would choose Hilary Swank again!